Kind of a neat find today...actually came to me from my want ad in the local buy and sell. 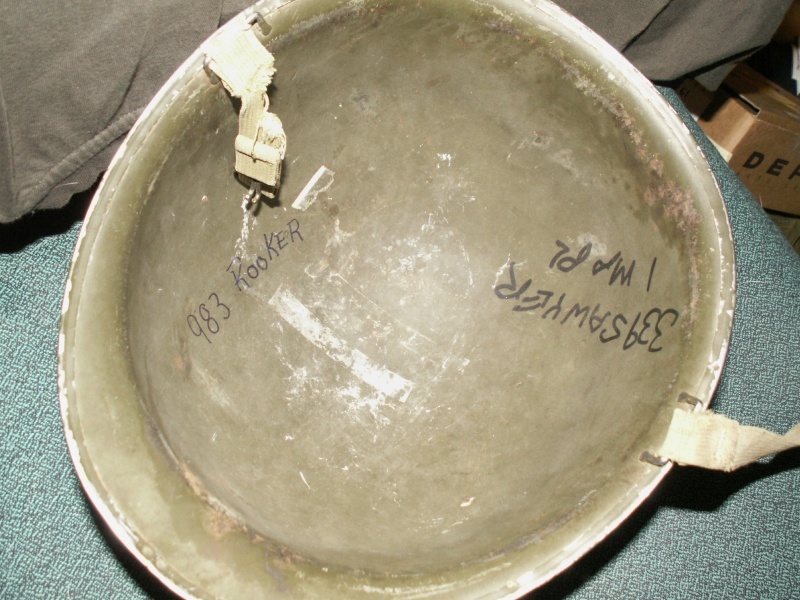 It is a nice early M1 helmet with fixed bails and original paint, original chinstraps that look like they've been through hell and back, nice late war liner, and named...twice. Seller said it belonged to his Great Uncle(Sawyer) who he never met...so no other service info unfortunately. Only thing he knew is that he served into the 70's. Could possibly be one of the 200,000 M1's bought by the Canadian Government during the war. I could only wish. Actually, I think that is very possible. 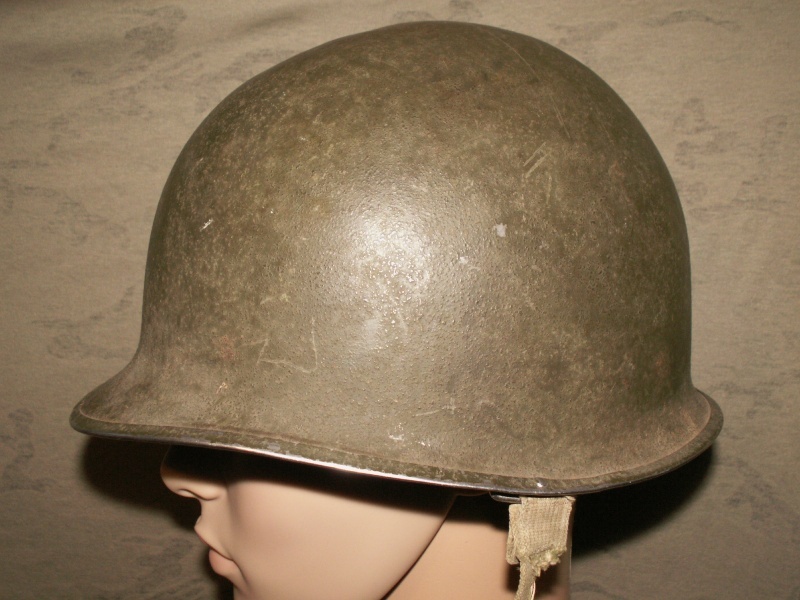 Even though we didn't adopt the M1 helmet during the war the US Government didn't want the helmets back so we kept them and they were eventually issued when we finally adopted the M1 in the late 50's or early 60's (not sure without looking it up). 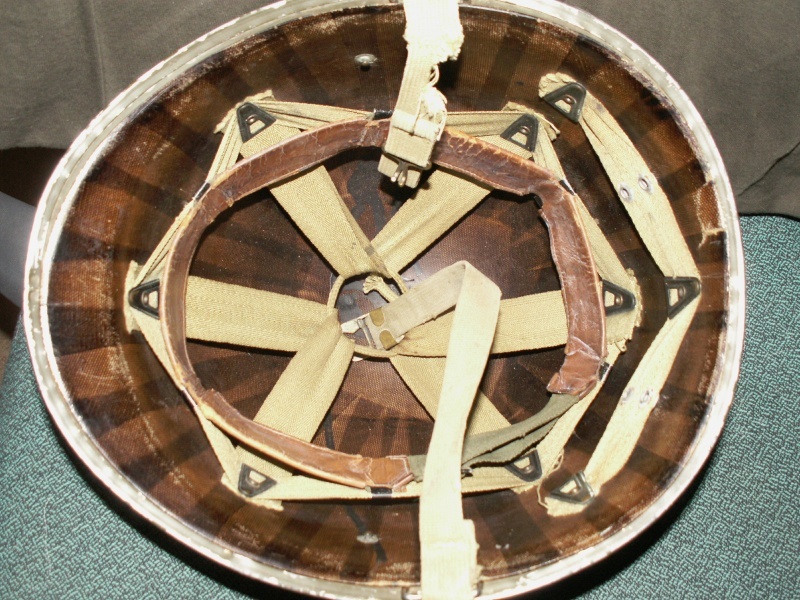 These fixed bale helmets were still being issued along with newer versions when I joined the military in 1990. Most of them had replaced chinstraps but not all. I think a lot of the war bought M1's ended up in eastern Canada. I read somewhere about the Van Doos testing the helmets and seen a Van Doo decalled M1 before. It is possible that this is one of them...Sawyer apparently lived in Ottawa. Too bad no decal though. I would assume that Rooker had the helmet first since Sawyers relative had it. All good for me since I also collect US Helmets, but this one stays on the Canadian shelf.